Hanukkah starts next week. Yay! But let's not kid ourselves: Those eight nights of celebration never produce gifts quite as grand as Christmas does. As kids, we Jews usually wound up with one good present and seven nights of chocolate gold coins that tasted ever so slightly of tin foil. With that in mind, I've rounded up eight little gifts under $30, one for each night of the Festival of Lights. And, best of all, these gifts don't discriminate—they make equally great Christmas stocking stuffers! 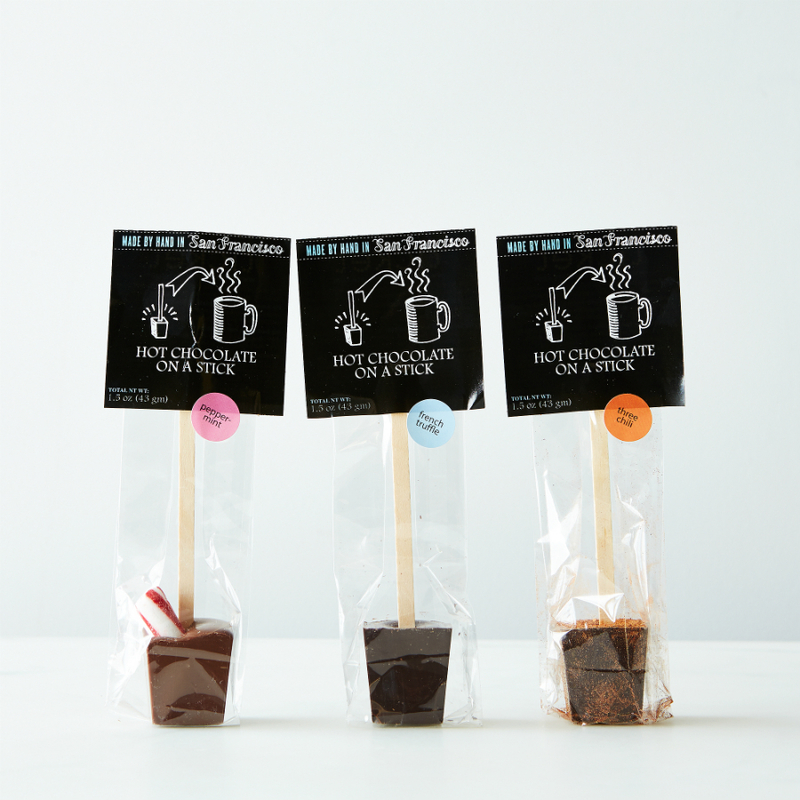 With a name so good, I don't think this needs any explanation, but here goes... Made of rich milk or dark chocolate, sea salt and natural flavors, Ticket Chocolate's Hot Chocolate on a Stick is meant to be stirred into a hot mug of milk for a sinfully delicious winter treat. Choose from French Truffle, Peppermint or Three Chili flavors for your favorite foodie. 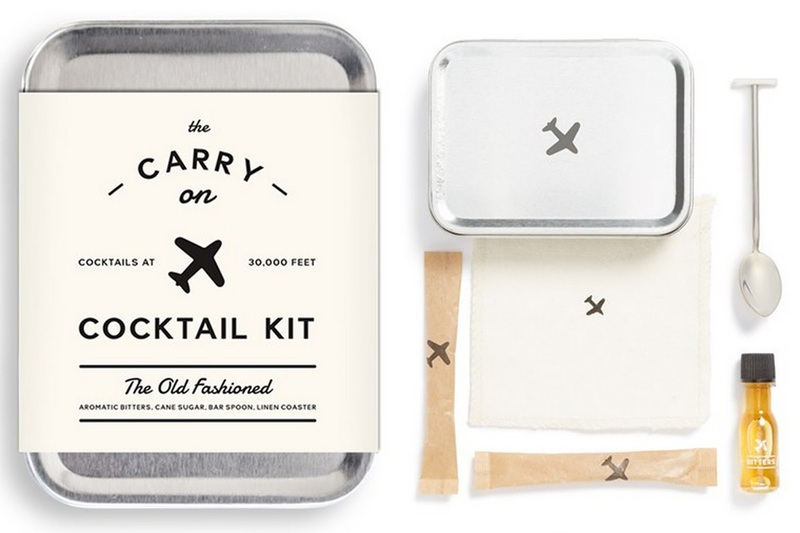 This handy little kit from Mason Shaker makes the friendly skies a bit more friendly with all the fixings for a favorite cocktail, be it an Old Fashioned, Moscow Mule, or Gin and Tonic. With syrups, muddlers and even a linen coaster, everything's there but the booze, which will be happily provided by a flight attendant. It's almost like giving the gift of a business class upgrade. 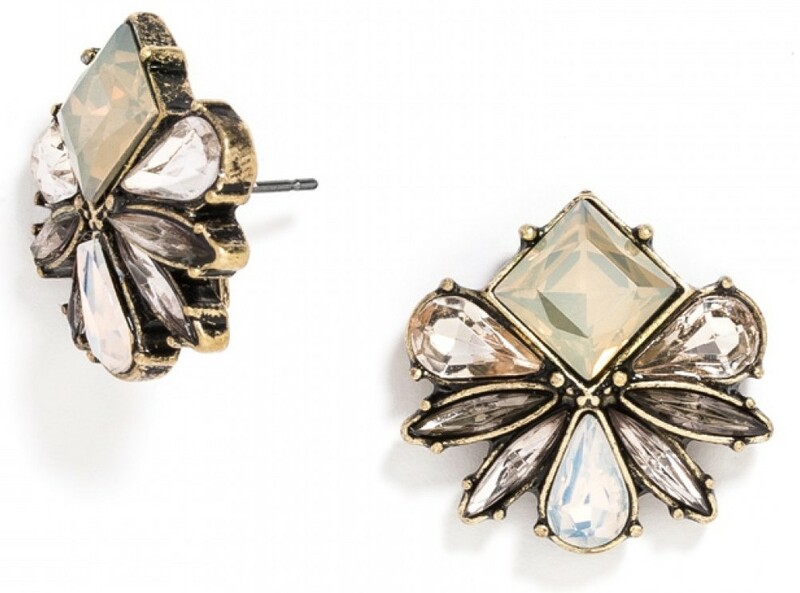 An icy winter iridescence makes these sparkly studs from Bauble Bar perfect for all the holiday parties your bestie/sister/mom will be attending this month. Plus, neutral hues mean they'll carry right on over to wedding season. 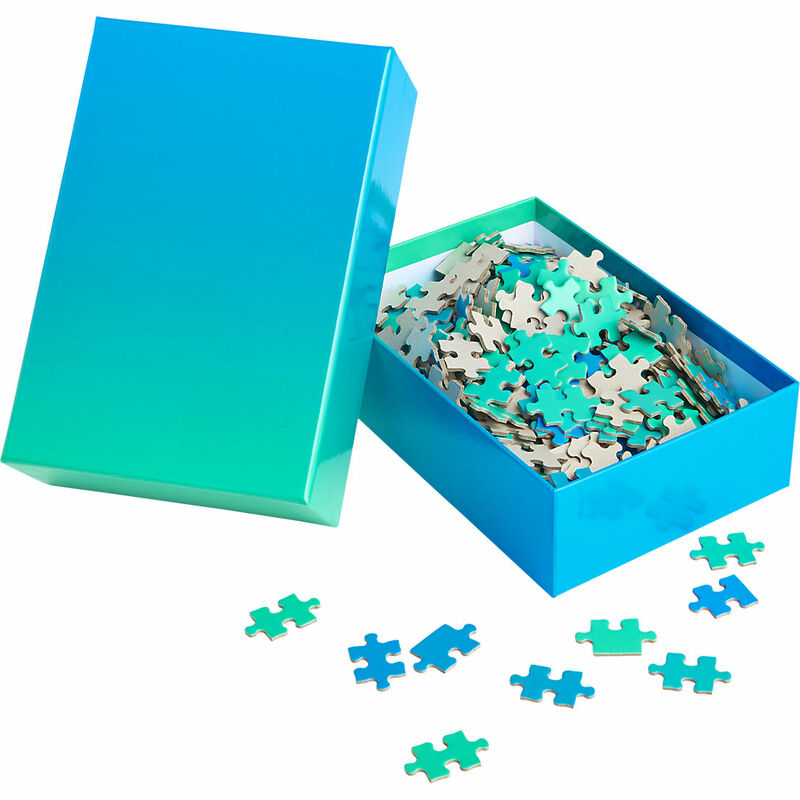 Minimalists, design geeks and brainiacs alike will love solving this 500-piece super-tough puzzle by Areaware. Designed by Bryce Wilner with the idea that there is no real point when one color becomes another, the puzzle comes in shades of blue or red. 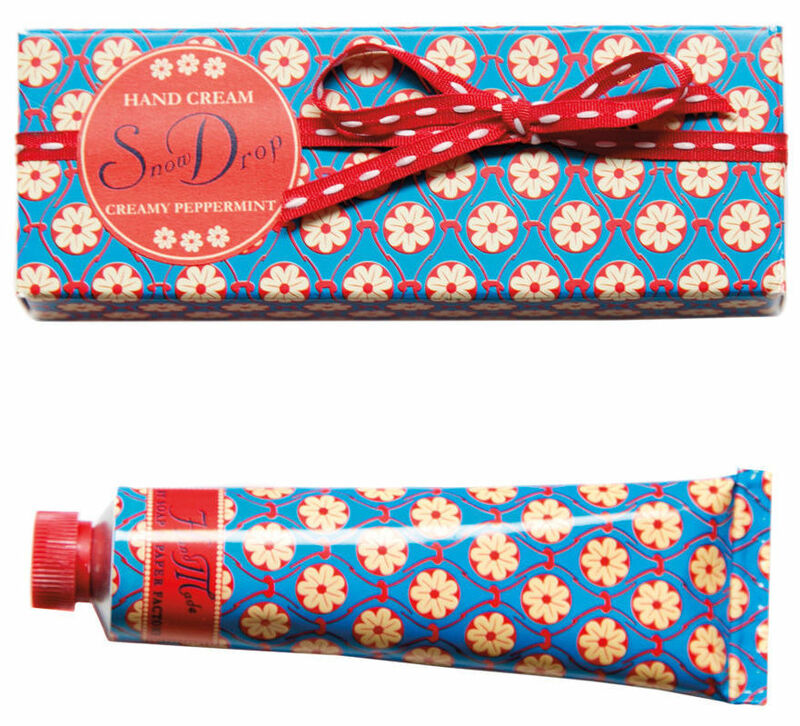 With packaging so pretty there's no need for gift wrap, mini hand creams from The Soap & Paper Factory keep dry winter skin at bay without parabens, phthalates or petroleum. Seasonal scents like Creamy Peppermint, Sugar Pine and Holiday Spice are like little shots of holiday spirit in your handbag. Well, these are just stinking adorable, and they're perfect for your favorite coworker, architecture buff or francophile. 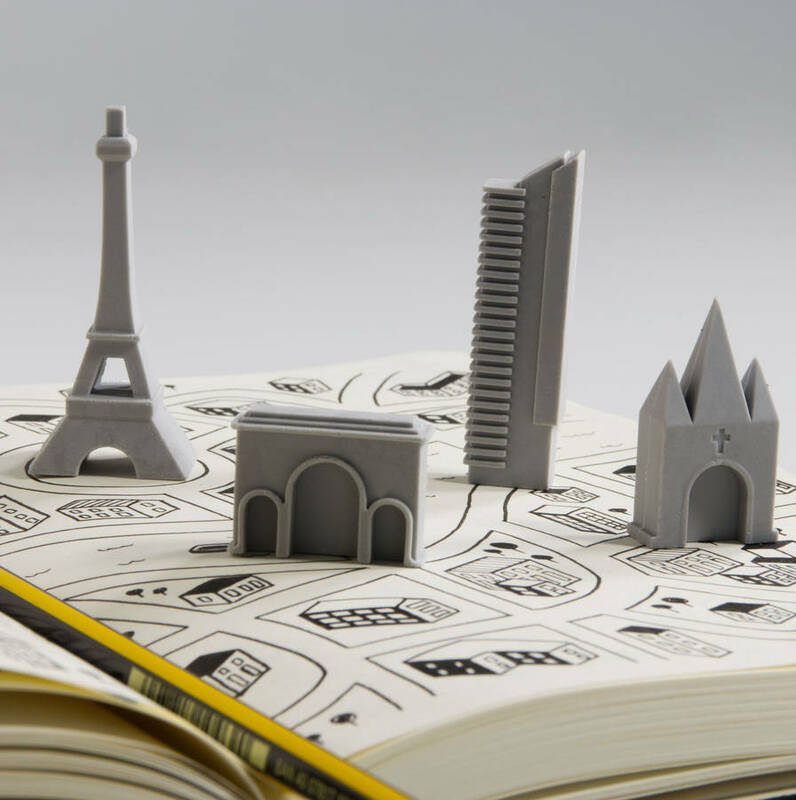 Each set includes four iconic Parisian buildings in rubber, or you can suss out New York or London. Does it get any more wonderfully tacky than these Gelt Gold Coin nail wraps from Tattify? They are so perfect for Hanukkah, and the set of 22 means your giftee can do her nails twice over to last way more than eight nights! There's also an Ugly Chrismtas Sweater version, but I prefer something a bit more subtle, like the Marble Pattern nail wraps above. Tattify has literally hundreds of designs to choose from. 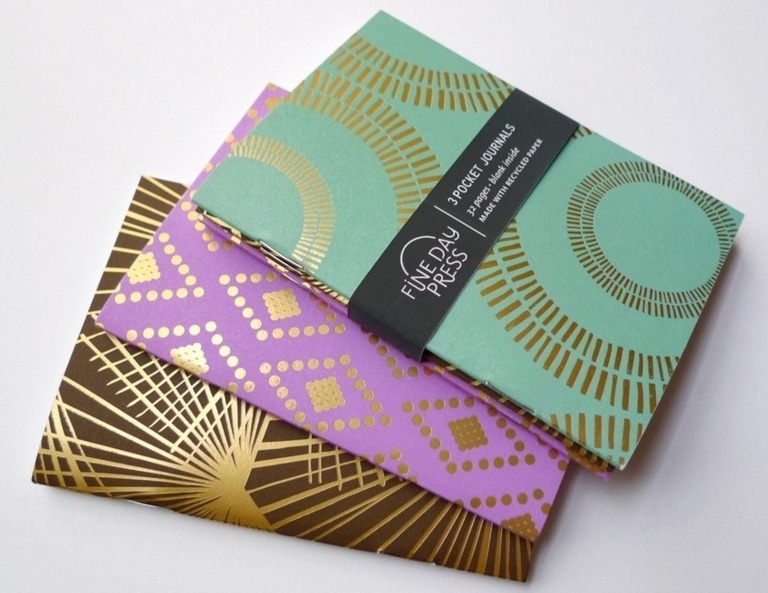 Another choice that's perfect for a coworker or anyone that's creatively inclined, this set of three oh-so-pretty pocket journals by Brika makes for a total of 96 recycled pages under gold-foil covers. These small notebooks can be tucked into a purse and pulled out whenever a bright idea strikes.